The National Student Loan Data System (NSLDS) is the Department of Education’s data clearinghouse for all government backed student loans and grants. Students and other borrowers who have Title IV loans or Pell Grants can gain access to any of their loan/grant information through this government maintained database. According to the Freedom of Information Act (FOIA), signed into law in 1966, information regarding educational loans or grants sponsored through the federal government is to be made available to borrowers. 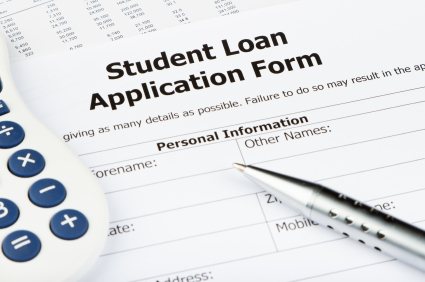 To this end, the NSLDS offers a secure interface through which students and parents can request an assortment of information related to their federal student loans or grants. You always have the right to access your information. This database makes it available to you at all times and in one convenient place. Login PIN (Personal Identification Number). Apply for a Federal Student Aid PIN. You’ll use this as a primary login for most of your FSA websites, including the NSLDS. For any troubleshooting you might have with the PIN, see the NSLDS help section. First two letters of your last name. Once you have this information ready, simply go to the NSLDS database to access all the important information about your student loans. Title IV loans include all the federal student loans – Stafford Loans, Perkins Loans, and Direct Loans. Pell Grants are those awarded to undergraduate students on an annual basis who are in the most economic need. What if you need further information or need to make a change to your existing information in the database? If you do not find the information you need regarding your federal loans and grant monies you may make a formal request to the Department of Education based on your rights in the Freedom of Information Act. The information about your financial and loan history, status, and future is yours and you are guaranteed by law to have access to it through this provision. Where does all this information on your student loans and grant monies come from? The lenders and student loan guarantor companies, the Department of Education, the Direct Loan program and even specific colleges and universities are responsible for reporting this information directly to the NSLDS. For the most part the loan and grant information is up-to-date. The NSLDS does make it clear, however, in their helpful FAQs section that outstanding loan balances may be 3-4 months behind in reporting. You have the freedom to contact any of the lenders or agencies that have reported the loan or grant. If you suspect erroneous data, you are encouraged to contact reporting bodies. For this reason, alone, knowing how to access your federal loan information is imperative. The NSLDS offers a useful and comprehensive glossary of financial aid and student loan terms. This tool is especially helpful in deciphering the often confusing terms associated with the business of student loans and financial aid, terms that you may be confronted with while accessing your federal funding information. Additionally, there are resources for financial aid review as well as student loan exit counseling through the NSLDS. The hub of information contained in the NSLDS database for those with loans is necessarily the most central and integrated view of your financial data. When it comes to college finances, it is reassuring in any situation that all of your information is synced together in a place where you can retrieve it easily and interpret the data in the same location.